Hello, I am a new genesis user and I’m trying to set it up. 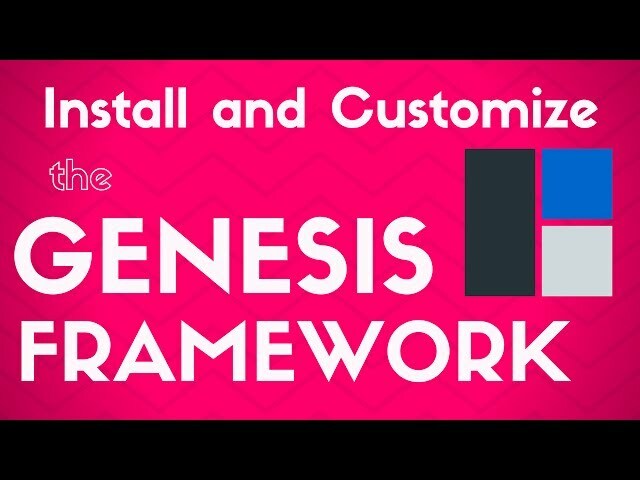 In your video you’re showing how to setup and work the child theme, do you have any tutorials on setting up the genesis framework? I do not find the CODE for copy, because in my dashboard there are no Theme Setup option 🙁 I think Genesis update their dashboad. Would you pls tell me where can I get this code for copy/paste ?? Great tutorial, you explain everything so clearly it’s really easy to follow your instructions. What I didn’t like very much was how the theme was set up, it seems like the developer’s approach to designing this theme was following Joomla’s method of designing static pages. It’s just my personal preference, but I don’t like using widgets to format the overall layout of a single page. Kind of sad to have to make your frontpage in the widget section. sir as i can see in your video there are sevral child themes but i got only parent & one child theme , why this is so? Hi friend, I really like your videos. You have a lot of say in wordpress. I would like to have a question with you. Do I really have to make the Front Page With widgets and copy paste HTML? I Cant give This to a Client it’s to complicated.